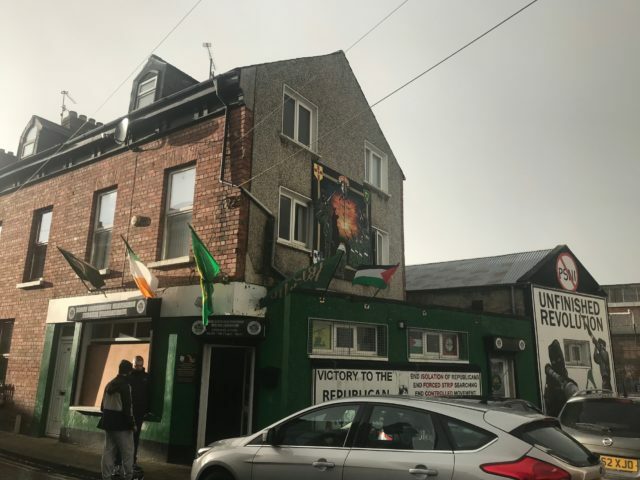 A republican party in Derry say they are being used by the police in an effort to calm tensions after a car bombing in the city on Saturday night. Four men aged 42, 34 and two aged 21, who were arrested over the blast outside Bishop Street courthouse, have been released unconditionally. A 50-year-old man arrested on Monday remains in police custody. Representatives for the men, who belong to republican political party Saoradh, claim the arrests were a publicity exercise by the PSNI. 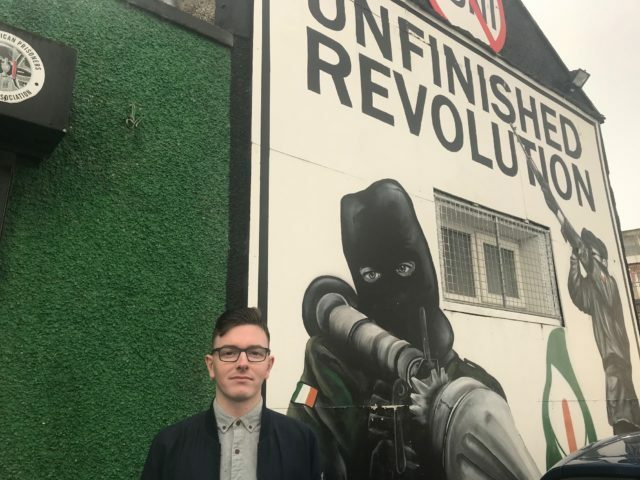 “The harassment from security services is nothing new to republicans but since the formation of Saoradh in 2016, the harassment has increased,” spokesman Paddy Gallagher said. “We have people who are stopped and searched on a daily basis, family homes have been raided, it’s a wide range of people that are being targeted. “The arrests (on Sunday) were indiscriminate, it was four names out of a hat. I’m confident the fifth man arrested will be released this evening. “One of the men was arrested in a dawn raid in a one-bedroom flat, which he says was searched for over eight hours. Ciaran Shiels of Madden & Finucane solicitors, who represent the 21-year-old, said: “There was never any question of charges in this case. This arrest was particularly cynical. Not a shred of incriminatory evidence was put to him in two days of interviews. Saoradh is based at Junior McDaid House near the Bogside area of Derry, a republican ex-prisoner welfare service. Junior McDaid House says it offers free welfare rights services on housing and community issues, and represents current and ex-republican prisoners. Saoradh was linked by some in the media to Saturday’s car bombing after releasing a statement on its website. The statement noted the date of the attack on the Bishop Street courthouse coincided with 100 years since the start of the War of Independence. However, the group says it “100%” denies involvement in the bombing and further security alerts on Monday. “Saoradh are a standalone party, and we only speak for Saoradh,” Mr Gallagher said. “We released a statement saying that there was an attack on a British institution highlighting that it happened. Obviously, that was misinterpreted by media and whoever else, but the statement merely pointed out that it happened on a British institution on the anniversary and 100 years on we’re still partitioned. “We understand why these attacks happen, and that was pointed out in the statement. It does appear that it will continue, maybe, but we only speak for Saoradh. On Monday, Derry’s top police officer denied claims the arrests were used for publicity. Superintendent Gordon McCalmont said: “I would challenge that. Everything we do has to be lawful, proportional and necessary. “The checks and balances that are there before we make those arrests would really challenge those comments.